Eleven-year-old Olivia has been in care since she was five, and is just beginning her sixteenth placement. Her new home is a secluded farmhouse, centuries old, where she slowly bonds with her foster family. But the house holds dark secrets. Olivia discovers that it was once a notorious baby farm, where unwanted children were left to die. She becomes convinced that the place is haunted. She is desperate to save her new family from the ghosts. The danger is real – but does it come from the twisted mind of a very disturbed child? 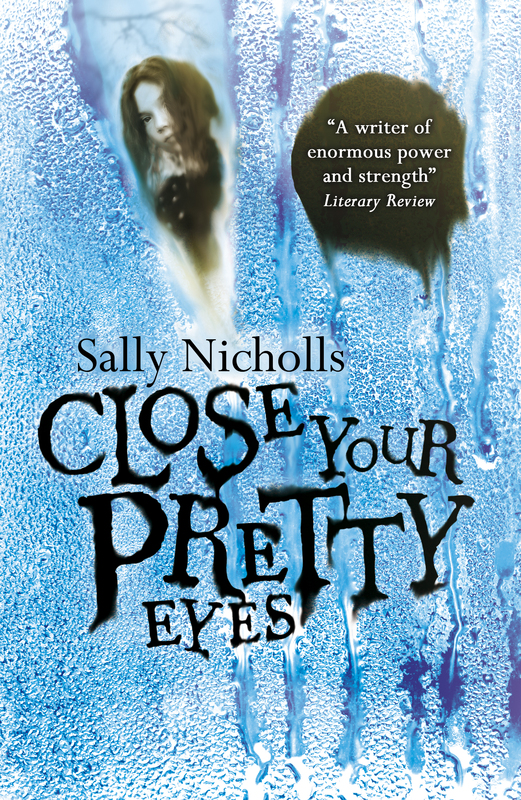 Close Your Pretty Eyes is released today in the UK. It’s a creepy ghost story about real-life Victorian mass-murderess Amelia Dyer, but it’s also a story about an unusual family, and a girl who believes she’s never been loved. There are lots of real-life young people like Olivia, and I wanted to tell her story, and explore how hard it is to survive when you’ve never felt safe. I talk about the book here. and here. There’s an early review here. It also got a very nice review in The Times, but I can’t link to that as it’s behind the paywall. They said nice things, though. And you can buy it from Amazon, Waterstones or Hive (where a % of your money will go to independent booksellers). Or from your local bookshop, of course. It’s also an ebook. I’m planning to do a lot of school and bookshop visits to promote the book, so if you’re interested in having me come and talk, do send me an email. All is well with me. I’ve written another Barrington Stoke book, Shadow Girl, which is about a troubled teenager and her friendship with another girl who doesn’t seem quite normal … I’m busy writing my next book, which currently has a working title of Stone, Paper, Ninjas, and is about a community who come together to help three orphans find buried treasure. I hope you’re having a happy autumn, with lots of good books and friendly people and not too many cold toes. Enjoyed the book a lot. I was quite sad when it finished and a bit annoyed because I wanted to know if she was allowed to live with the Iveys again. It it one of my favoirite books!